Tanning Surface - 6 ft.
*Breaker size is approximate. Consult an electrician. Heavy-duty extruded aluminum and steel mainframe with durable, long-lasting DuraMaxTM 2000 exterior for easy maintenance and long life. 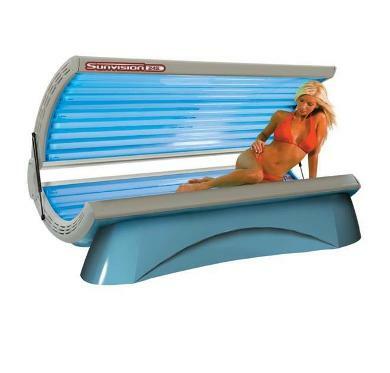 24 super-efficient, high output 100 watt lamps to shower the user with UV light for a fast, dark, full-body tan. This bed has 12 lamps in the canopy and the bench. Payments as low as $122.99 per month! * Ask about out 12 months same as cash!